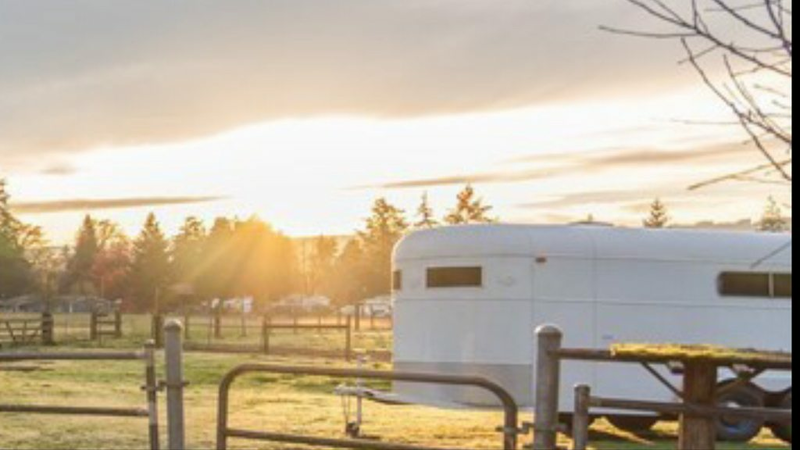 If you have any experience with enclosed cargo trailers, you’ll know they tend to leave quite a lot to be desired in terms of their construction. Additionally, even in pre-owned form, they unusually carry a hefty price tag unless you find one that was used commercially on its last legs with a bent axle and corner gouge from one too many jackknifes. While some of the bigger cargo trailers are designed to carry heavy weight such as a vehicle or more, the construction of them otherwise -more specifically the siding - is not comparable or designed to be in the same class as an open car hauler/flatbed/equipment/ type trailer. That being said, there are two or three top of the line brands such as Wells Cargo and Haulmark that have thicker seamless type sides, but are still not built from a heavy duty rugged type construction. 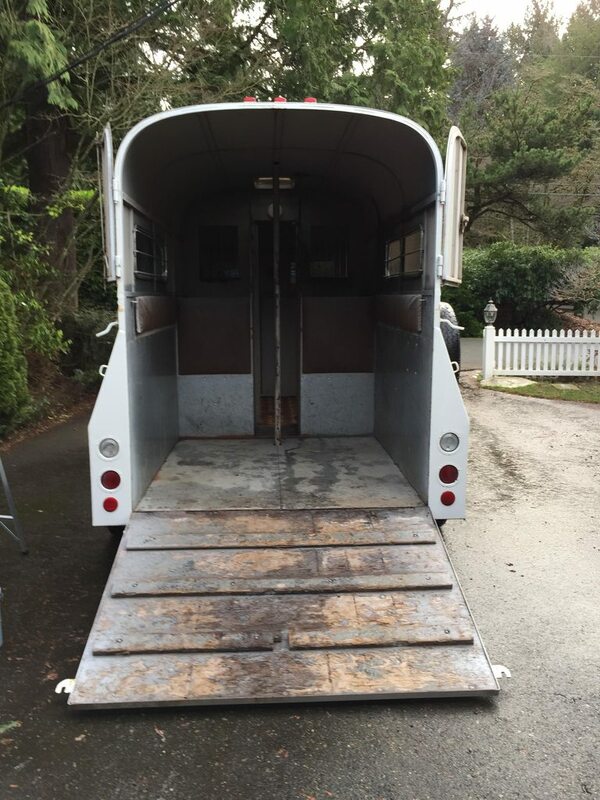 I purchased a new mid-grade Mirage enclosed trailer back in 2014 primarily for storing my motorcycle in when I moved down to California for a year for work; it was my first one of the type and I did a fair amount of research before buying it. I’ve kept it ever since as it’s been a great use for my hobbies however the occasional garden tractor ride has always taken its toll on it. 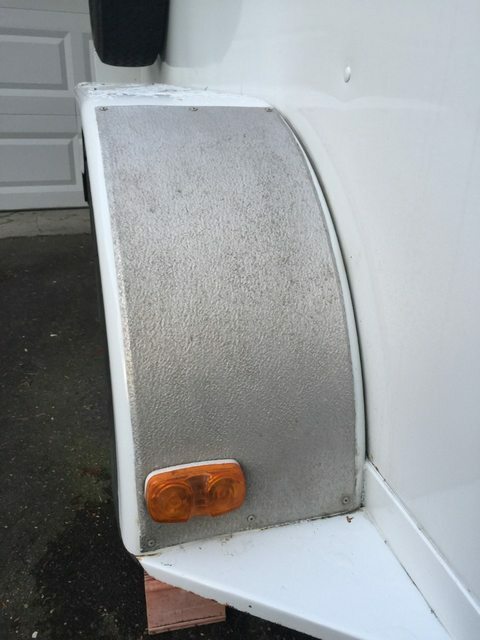 The primary issue I have with these trailers is how thin the sides are. They are so thin that you could literally cut them with metal sheers and they are all pretty much made this way too from some degree. The wood paneling on the inside is fire kindling-like thin and the roof tops are often sealed with lap compound applied in a such a way you thought a toddler did it blindfolded. While loading my GT in it one time I ever so gently touched the front of the trailer with the bucket in the interior- basically rested on it for a split moment. You know what happened? It immediately broke a section of clear silicon that fills in the seam between the front panel and the rock guard on the outside- ridiculous I thought! Furthermore, I also use it for hauling dirt bikes and have towed it through many miles of bumpy dirt roads to reach campsites which I know has always been an additional torture for it. Perhaps it is the result of several squeaks it’s developed. Alas, these trailers were not designed for hauling equipment or being put in such harsh environments but rather to move your furniture across town or simply be a mobile storage unit in your driveway. So why not just do the logical thing and get an affordable flat deck / equipment / car hauler like everybody else has that can take the abuse of a loader bucket? I wanted something enclosed specifically for keeping my equipment and motorcycles sealed up in when I take them on trips or plow days and like the idea of them being locked up in motel parking lots overnight. My relatives who owned a ranch had horse trailers and they were in no way built at all like the flimsy cargo trailers- nuh uh! In comparison they have thick sides, heavy ramps or barn doors, stronger axles and are much beefier in, well, every way really. The dry weights between the two types? In comparable. Hmmmm. As soon as I began hitting the old interwebs, I quickly realized older used ones in many cases are priced even less than the pre-owned light weight cargo trailers! Imagine that! Yeah, you might be buying some horse smell and strands of hay that never seem to go away no matter how hard you try but on paper there was no comparison on your money’s worth between the two. So for about a year I’ve been researching suitable candidates and learning more than I ever needed to know about styles and configurations to determine the best fit. 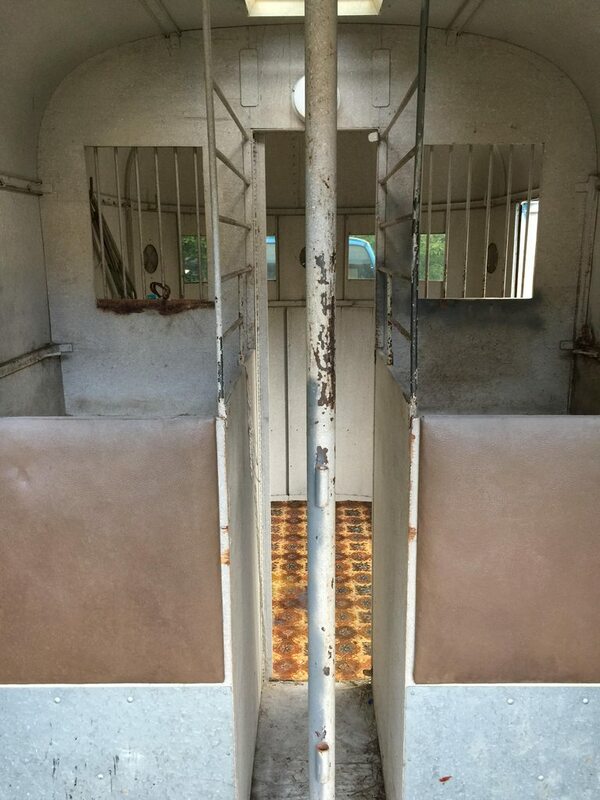 A slant load wasn’t going to work and while all the storage compartments and saddle rack spaces were nice on the Circle J’s, it greatly lessened the actual walk-in/usable storage areas of the back. After all, they were designed for a horse and not tractors or motorcycles!! I looked at several, compared them and made my priorities and compromises- there were many. This is a completely random note aside, but after trailer shopping for close to a year I learned that most every seller was not negotiable on price. It’s not like buying a used car and implementing the norm of offering a better price. 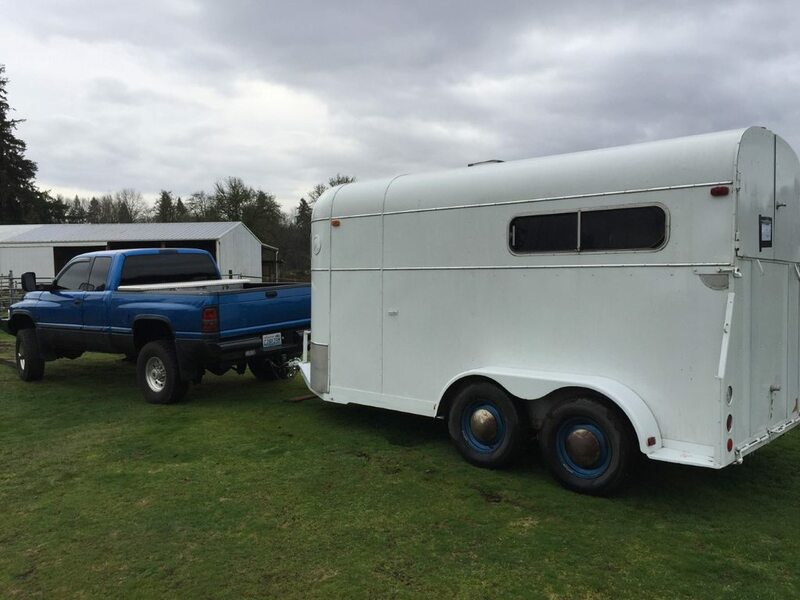 People who sell trailers are firm on price and even if you wave a lesser amount of cash in the air, many will won’t bite or negotiate. Just an interesting note I found from a couple of occasions. Well, what’d you buy, Austen? I’m a bit smitten. 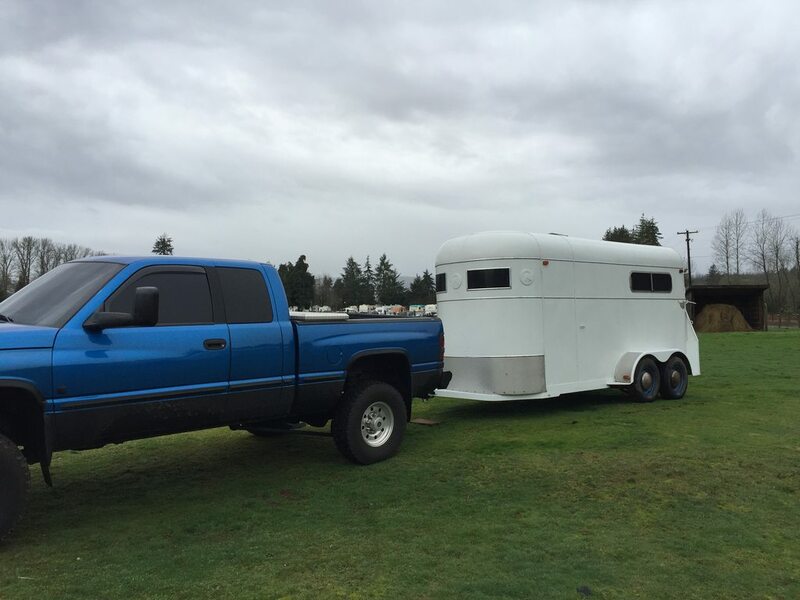 Aesthetics and style have always been a priority for me and the style of the older round horse trailers have always intrigued me. It’s a 1978 Circle D. It was sold as part of an estate. 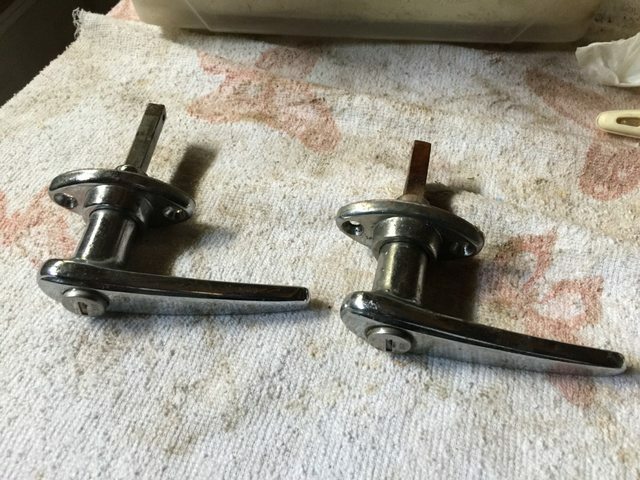 Apparently some of it was reconditioned in the early 2000s and was used very little and stored under cover in a barn since then. It is not perfect and has some small things I need to take of but it’s in pretty nice shape. As I go through it and fix the issues and convert it to the motorcycle / GT hauler, I'll update the progress. 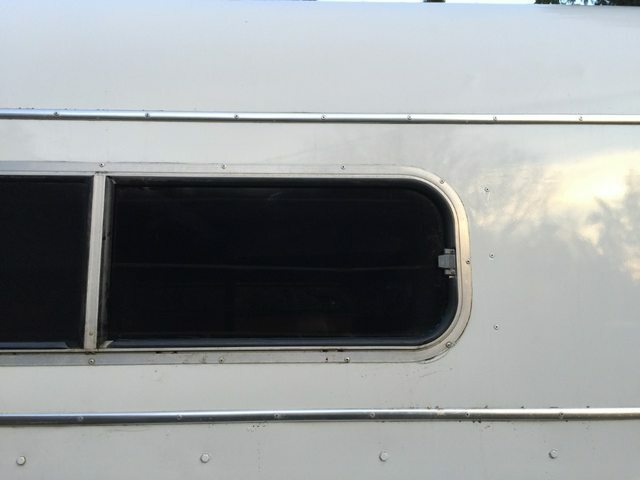 One of the important priorities this trailer had that I was looking for was a ramp door that didn't connect to a fixed post in the back like most in this style have. This would've prevented things like a motorcycle or tractor from entering in it. Last edited by Austen; 03-11-2019 at 02:40 PM. Looks like a great candidate for the job, Austen, subscribed! That floor tile will have to go, solid oak flooring maybe? Nice grab, Austen. That will serve you well. Looks beefy, and I like the look. Congrats! What interior mods are you thinking for the space required for FEL tractor? Cutting all of it out? 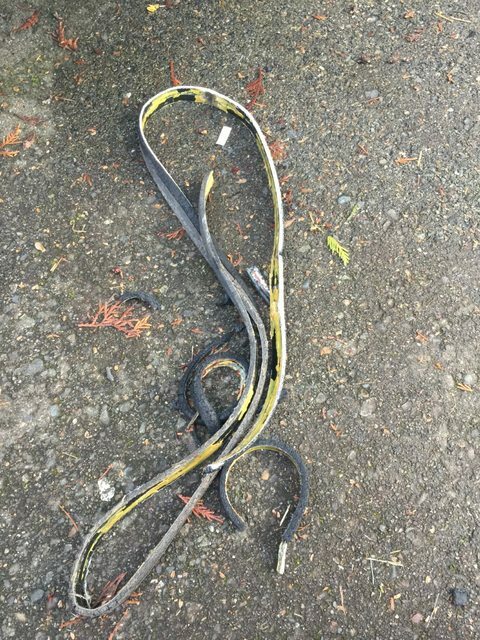 Hey Austen, do this restore the right way and maybe you'll be able to pick up some extra cash when you're not hauling bikes or tractors. I considered one for the height so I could haul my tractor with cab for snow removal. Alas, I decided not to haul my GT except to pick up leaves and spread fertilizer (not the horse or cow kind). One of the bosses I had was a woman,who owned a auto parts store,and she bought a large farm & property in upstate NY to have for a retirement home & property.. Her husband would go up there every weekend and do work on the house & outbuildings.. He was a "tractor nut" like many of us here are,and during his many trips up there and back,he came across many for sale on front lawns..he started buying them,it got to the point he was hauling several home every month,and he used a flatbed car trailer to haul them.. He got pulled over several times by local cops,who wanted to see a bill of sale or other proof of purchase for the items on the trailer--they suspected they were stolen!.. Most of them he just bought with cash and shook hands,didn't get any paperwork--so he had to start asking for a bill of sale.. 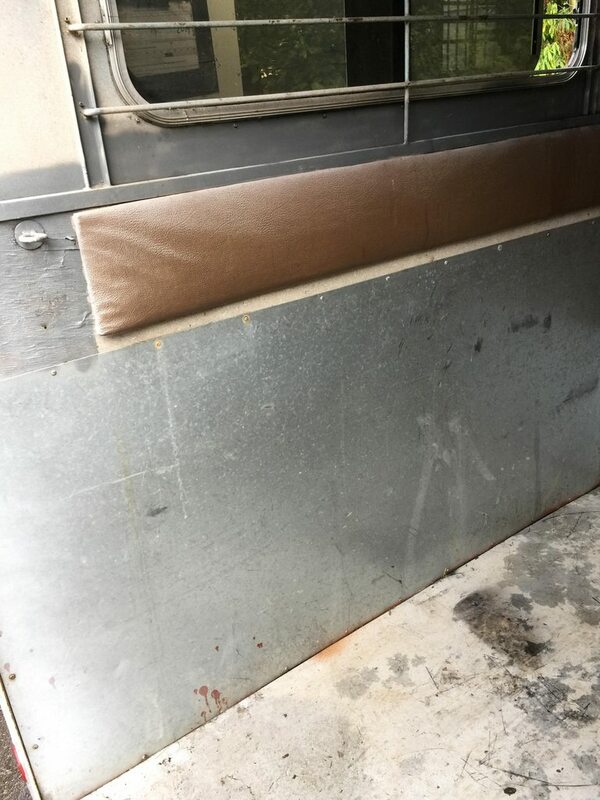 He thought if he had an enclosed trailer,none of this would have happened--out of sight--out of mind..but like you found out,they sell for a premium price even in well used condition,and aren't exactly ruggedly built.. 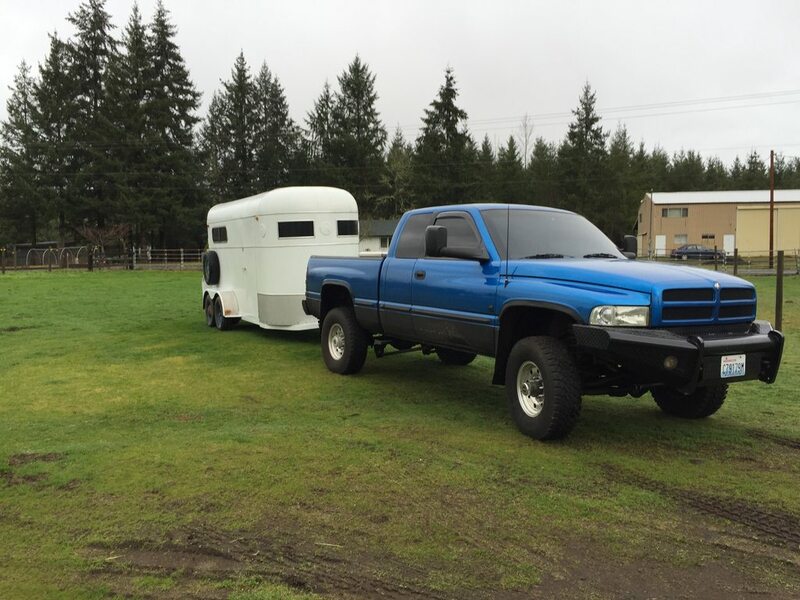 He ended up buying one,and fixed it up so he'd have no problems on the long rides ,new wheel bearings,tires,etc..he would leave it up at the farm until he'd filled it with whatever he bought,then haul it back here..and he even put a fake horse tail on the back,to make it look "occupied"...he said he never got pulled over or questioned again..even though a horse is probably worth a lot more than the tractors he collected!.. My old boss finally retired--I don't know if she ever did move to NY or not..if they did,they had a lot of tractors and other things to haul back up there..they waited 20 years since I had quit that job to finally retire and they sold the store to a NAPA franchise.. I have a spare 110 ac/heat exchanger unit salvaged from a scale trailer which would be perfect for when you add fold down bunks. I would keep it white, just add a splash of Dodge blue somewhere beside just the rims. It needs a stripe! Love the baby moon caps, they’ll buff right out. Gonna lose the center support post? Thanks guys, will post an update soon. Did some little odds and ends over the weekend and now waiting on a few parts. Will make a more comprehensive update when those come in. Thanks Mike, and to answer your earlier question about fitting two tractors, I'm not sure, I think two would be a little tight. One tractor with the attachments stored up front (or a motorcycle included ) is what I'm after. The back flooring has rubber mats, for some reason they're grey. I already removed the old carpet up in the front area. The flooring was replaced in the early 2000s when it was reconditioned. If I do find that it would fit two tractors, I would likely want to beef up the flooring in the front portion. Yeah, it has an existing wall / door / hay storage area that I'm going to take out so that it's fully open. Other than that, not looking to get too fancy with it. Too funny! 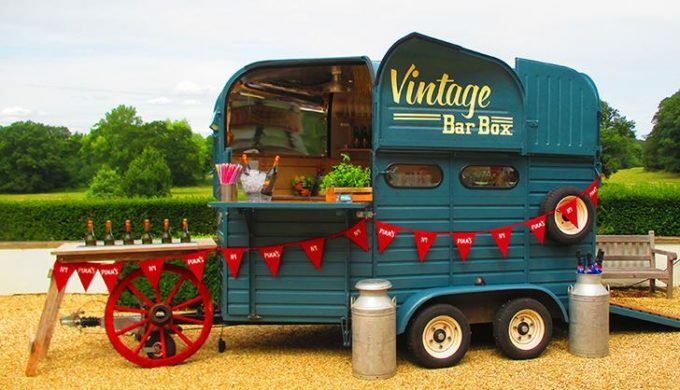 I didn't realize all the re-purposes people have done with old horse trailers. Yes, the main weight of the tractor will be placed in the back and any attachments would be stowed up front. Ha ha, it sounds like you've got the ideas of turning it into quite the toy hauler! Perhaps someday but for now it's going to be pretty basic and open. It does have a couple lights and some hooks which will be nice for hanging my riding gear. Ha ha, I could definitely see a horse trailer not getting as much attention like that. Thanks, Scott, yeah a fold down bunk would be pretty cool for a camping trip. Yup, no plans to repaint it. Yeah, the center support will go. It was used to attach the center divider that I already removed. Well, here's the first little update; lots of little things. Got a few more parts commin'. I love this trailer and so glad that I got it. 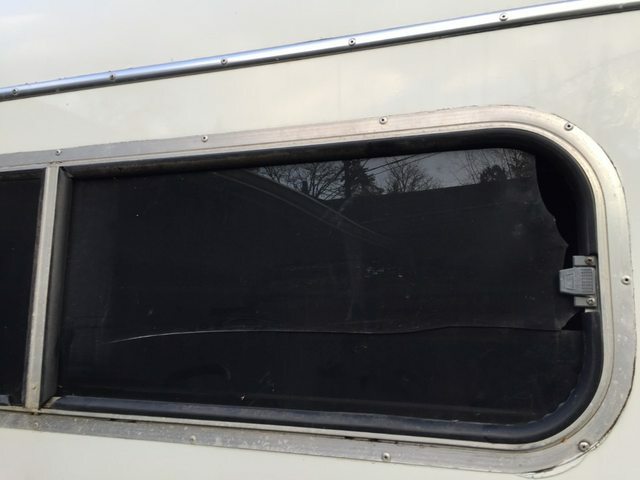 One of the plexiglass sliding side windows was cracked out as you can see below. There's a good local place that deals in plastic so I had new ones made for both sides; I wanted them to match. The seller lost the keys. I wasn't too concerned as I have a pretty vast key collection and knew the odds of finding one were promising. Sure enough after a few minutes of digging and some trial and error I found one from around the same vintage too! The rear handle wasn't locking, I think the tumblers are likely frozen. 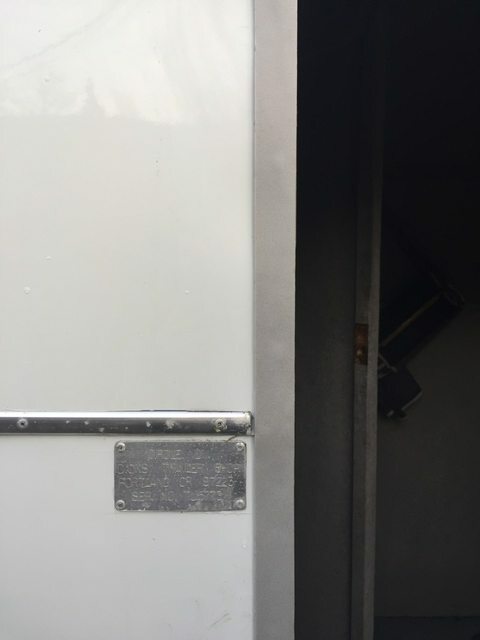 There is a pass-through door inside the trailer that has the same handle so I swapped it to the back for now so that the trailer can be fully locked up. The weatherstripping on the side door was cracked so I replaced it. It was at this time that I discovered the trailer had originally been painted blue. Example part of the new weatherstripping. Fortunately, all the lights worked aside from this one due to a broken wire that I repaired. I always like having all the marker lights on my trailers operational. That's it for now, last weekend was mainly going through it and making mental notes and getting to know it. I'll make another update soon and do a photoshoot when the new Baby Moons come in. Last edited by Austen; 01-26-2019 at 09:51 PM. I'm a stickler for working trailer lights myself, Austen, much safer for everyone if they are operational. Not to mention the trouble with the police dept if you got pulled over. The side vent windows came out nice! It's coming along nicely, Austen. I can't believe you had that key. That's a nice big trailer, Austen. I would almost be afraid to have something that big. Who knows *what* I would be able to bring home! "Trouble" would be one thing. Thanks for following along, guys! Looking forward to being able to put a motorcycle and tractor in it for the first time. Before the interior "demolition" begins, I'm fixing the priorities first. Agreed, thanks Mike. Not sure if you noticed but this one has reverse lights too, something that some older horse trailers I've seen came with apparently. Thanks, Glenn! Definitely same here. I'd go crazy if my equipment wasn't in the kind of equipment wasn't in the particular state I wanted it to be in. Thanks, Al, I'm just glad I didn't have to pay a locksmith. Thanks, Dave! lol, I hear you!